DenverPost: What were you thinking? 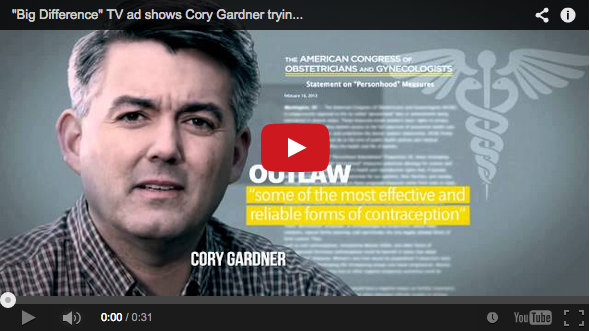 Retract your endorsement of @CoryGardner. 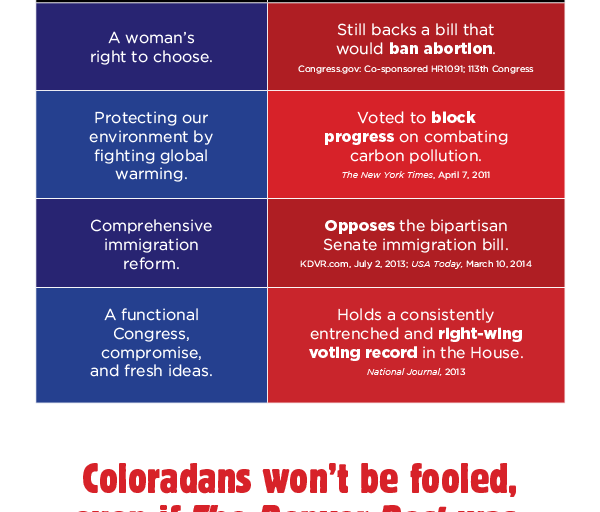 Sign Jamie’s petition and share MoveOn’s fullpage ad. 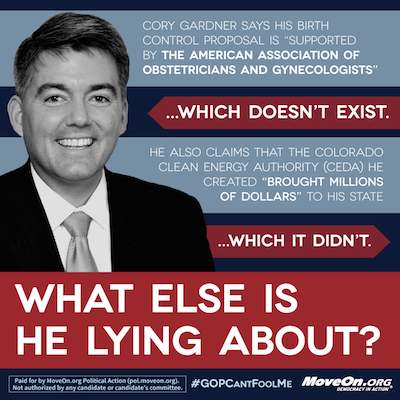 What else is Cory Gardner lying about? When its own elected officials know that the party’s on the wrong track, maybe it’s time for them to just stop the train. Yes, she actually said this. A Call To Action: Unite Against The War On Women! There’s something big happening on April 28. Sandra Fluke did not expect to be attacked by the likes of Rush Limbaugh, but she also didn’t expect President Obama to give her a call to offer his support. In this clip, she tells us about the conversation. Listen to this radio ad by Elizabeth Warren, and more importantly, share it now!